Yarns of This Thing of Paper: Ripples Crafts, an Interview. Yarn. The cornerstone of every knitting obsession. When I set out to make This Thing of Paper, I knew I had to get the yarns right. I spent a lot of time looking for yarns that had the right feel and the right colours. Ripples Crafts was an early lock-in as I had previously worked with the Quinag base for my Frances Herself. I also knew that I wanted to work with the Copper Beech colourway as it reminded me of leather-bound books. Perfect. Hi Helen. I have loved your yarns for many years and I'm so glad you wanted to get involved with my book project. Could you tell us a bit about your yarns and yourself?. My name is Helen Lockhart and I began the business Ripples Crafts in 2008. 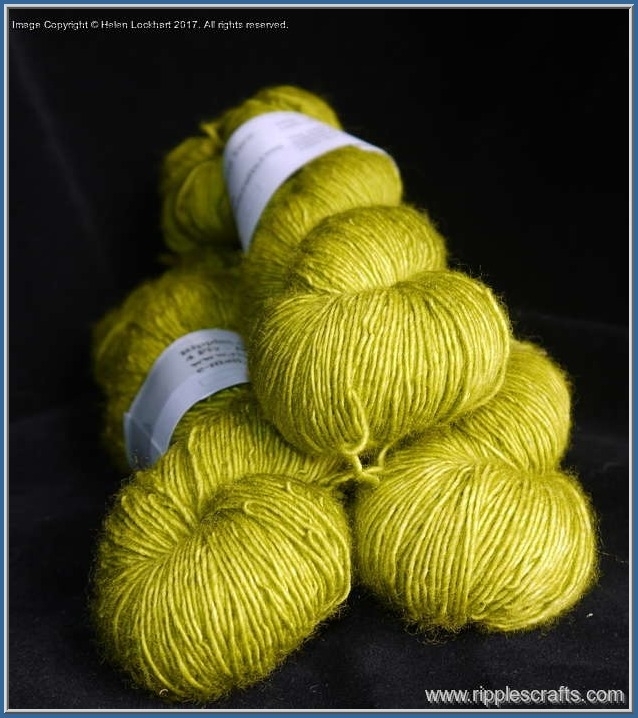 I had been dyeing yarn for my own use, but it wasn’t until we made our home in Assynt in the Scottish Highlands in 2008 that I stepped up my craft and developed it into a full time business. Living in what many consider to be one of the most beautiful parts of the world inevitably influences the colours I use in my yarns and colour combinations. The techniques I use result in colours ranging from almost solid shades which I aim to be able to repeat as closely as possible through to wildly variegated colours which are unique. I am known for my deeply saturated colours, and while I do a few pastel shades, it is the deeper, saturated shades which bring me the most joy. Why is that? I know that is a big question. Again, this saturation is influenced by where I live, where we have such wonderful light which show up the depth of colours in the landscape beautifully. The light in Assynt changes constantly, and at times that can be infuriating as I run indoors for my camera to capture a particular scene only to come back outside to find the light has shifted and the moment I wanted to catch is gone. But it is also what makes living here so magical. I love how the landscape influences your making, and I am always drawn to your strong & rich colours. Now, This Thing of Paper is all about books, so do you have any books you would like to recommend to my blog readers? “Colour : Travels through the Paintbox” by Victoria Finlay and “The Secret Lives of Colour” by Kassia St Clair. Both books are worth having for the covers alone, which I love. But both look at the history and stories behind colours and I love dipping into both books from time to time. Perhaps a more unusual choice of book to recommend would be “Gifts of Unknown Things” by Lyall Watson, but it was this book that got me interested in the concept of hearing the sound of colours along with other forms of synesthesia. I'll be digging through those recommendations! Now, where can people find your yarns? You can find my yarns on my website. I fit in as many shows as I can around the UK each year including Edinburgh Yarn Festival, Woolfest, Yarndale and Loch Ness Knit Fest. I enjoy shows as it gives me an opportunity to meet many of my customers in real life, and also gives them the opportunity to see the true colours of my yarns which, at times, are difficult to portray accurately online. Many find my dye shed conveniently placed alongside the North Coast 500 driving route. While I don’t have a formal shop as such, folk are always welcome to have a peek inside the dye shed to see the process and browse and purchase yarns while they’re here. That sounds lovely! I have a burning desire to come visit you & see the amazing landscape. However, where can people find out if they cannot make it to the Scottish Highlands and they still want to catch up with you? You can find me on Twitter, Ravelry, where I have a Ripples Crafts group, and Instagram. Bibliotheca is a shawl that uses two hanks of Helen's Quinag base - the base is named after a mountain in her beloved Assynt. I'll be seeing Helen at the Loch Ness Knit Fest later this week (she is vending and I am teaching). I'm bringing the sample with me, so hopefully she approves! Newer PostYarns of This Thing of Paper: Travelknitter, an Interview.